Senior Ole Miss linebacker Denzel Nkemdiche was admitted to Baptist Memorial Hospital-North Mississippi Monday after being “found” and was still there as of Wednesday night, according to RebelGrove.com. The site reports that Nkemdiche is currently conscious in the ICU, but that it is unknown why he was hospitalized in the first place. “Denzel is questionable,” Freeze said. “He’s dealing with a personal matter that he and his family are kind of going through, and we’re going to walk through it with him. It’s kind of day-by-day on that. I don’t know if I have the answer exactly on that. 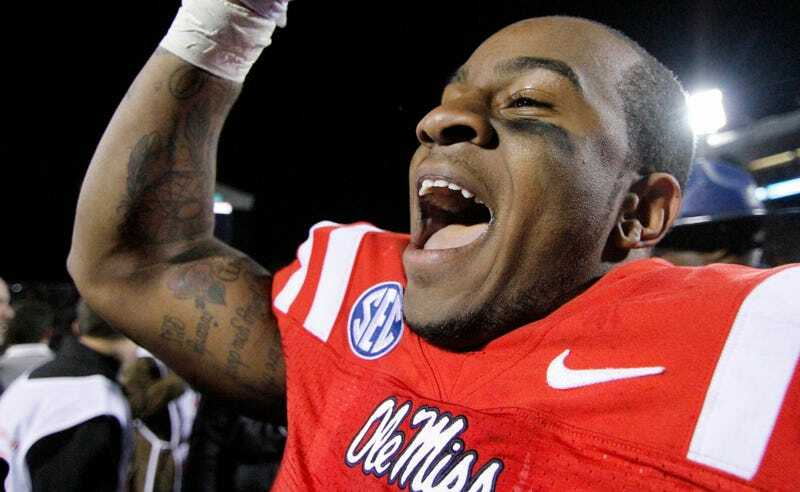 Ole Miss, ranked 22nd in the latest College Football Playoff rankings, takes on 15th-ranked LSU at home on Saturday.